Cirrus Cloud was Rainbow's first and only male offspring and her fourth foal. He sported his mother's liver chestnut coat and big blaze. 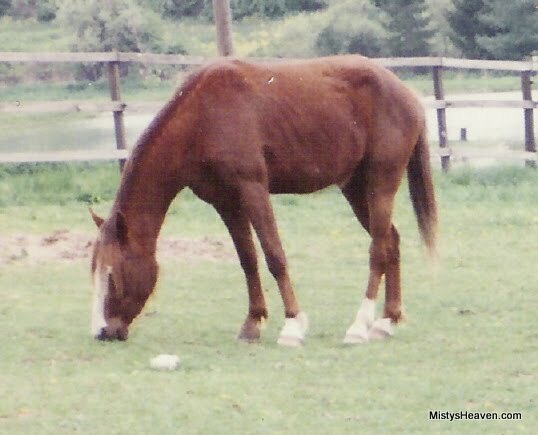 Rainbow was pregnant with him when she was sold to Kendy Allen in 1990. "Cirrus" stands at 14.1 hands, which makes him one of the tallest Misty descendants. He was trained under saddle and found to be a very good jumper. He was later sold to a family in Maryland who rode and showed him.